My girls will get a bunch of things this Christmas. It’s exciting to me to think about what they’re getting and wonder which things will be hits and which will be misses. There are always some of each. We’re finally past the point, though, where the kids think the boxes are funner than the gifts. I think we are, anyway. And as much as I admit to loving the toys and glittery flashy things, I myself am more excited about a gift I’m helping our families give the girls together. I thought of it as I was driving one day. I’ve found that listening to audio books in the car is a sanity saver for all of us. They tend to sit more quietly and focus on the story which means that they’re not asking me as many rapid-fire questions and I, in turn, am a less stressed and better focused driver. It’s a winner all around. I know that this year there’s a wave of recordable book options. I think that’s cool. I just don’t love the price tag and the bulk of them and the knowing that there are batteries inside that will die and need to be replaced. Or worse, corrode and kill the recording. And if that were the book that my Grammy’d read and I lost the recording, I’d be super sad. So I thought about how I could have my family members, who are spread out all over the place, read books for my kids. The kids would love the story and also love to hear it in a familiar voice. Then, thinking about how it’d be technically possible, I thought about my working days, when I’d have to sit through long conference calls. I remembered that there was an option for recording the calls and downloading the files as MP3s. Which I never did, because the calls were so long and boring in the first place that I sure as h—eck wouldn’t want to listen to them again. But… I could use that function to let our family and friends call in and read books. That way there’s no recording device to pass or ship around and worry about getting lost. Not that my Grammy would be able to figure out how to make it work. Or my parents, for that matter. But on the phone… folks can read whenever and wherever they’re ready. They’ve all got a phone. And it won’t cost them anything. It’ll only cost me a little. 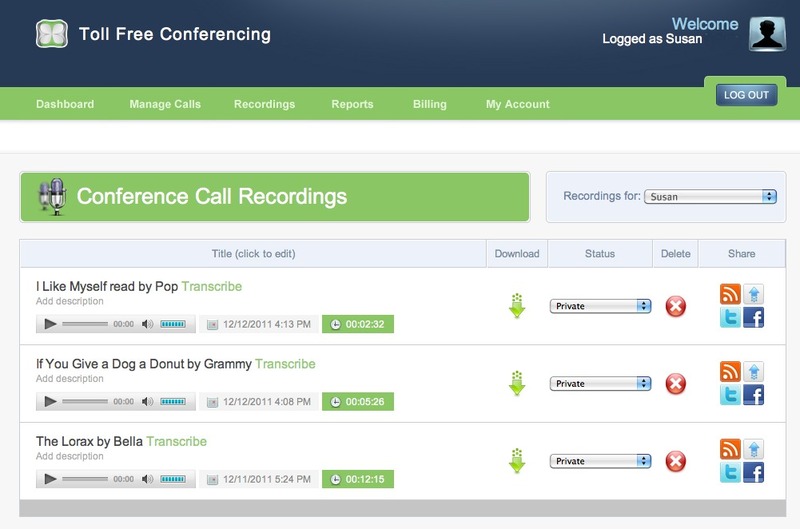 So I dug up a conference calling site that charges 7 cents a minute. Pay as you go, no monthly or startup fees or anything. And will allow me to download the calls as MP3s that I can burn onto discs or sync with my iPhone or whatever. Perfect for sharing with other little relatives to come, too. So far my family has called in and read The Lorax, I Like Myself and If You Give a Dog a Donut. These are the task-oriented list-making to-do-list-conquering family members. The ones who ask for a Christmas list before Halloween. The others will likely call in on Christmas Eve. Which is totally cool with me. I think these are on the to-do list for my looover and I to read for our girls– they’re the stories we’ve read to death this year. 1. 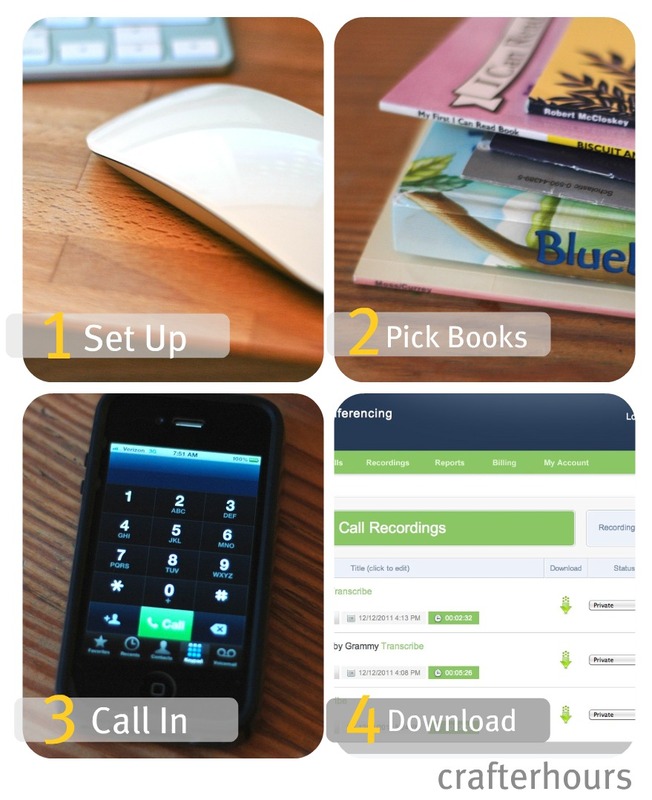 Set up a conference calling account. I used Toll Free Conferencing. Only took a few minutes to set up. Not only are they not sponsoring this, I can’t imagine the way I’m using this is going to make them a whole lot of dough. But I’m sharing it because it worked for me. 2. Pick a book. Or a dozen. I made a “Wish List” on Amazon to give the further-away folks some ideas, but also encouraged them to feel free to go thrifting for books. The girls have no idea whether a book is brand new or not, nor would they care. As long as there isn’t crayon scribble all over it. That they tend to notice. And then ask me why I tell them they can’t color on their books when there are clearly other kids with funner mothers out there. 3. Call in to record. I tested it first. Then I sent an e-mail with the instructions for the readers to follow. There’s a conference call-in number, and a group number, and a “host” number, since each person serves as their own host, and then a code to record the call. A lot of buttons to push, so… my Dad helped my Grammy through that part. And then she did a fantastic reading. Burn them onto a CD. Play them on a computer. Play them on a handheld gadget-y thing. Maybe this one. Wherever you like. Here’s the screen where I can label the calls and download them. It’s all web-based, no software to install. And the rest… is gravy. I’m putting them all on my phone since that’s the thing that’s always with me in the car. But a CD would be easy enough to burn. And I’m backing up a copy, ’cause you never know. I’m so excited to hear what they think of hearing the voices they know and love reading the stories. And so, as usual, when I’ve got something even sort of crafty that I’m excited about, I share it here. Hope this is helpful to someone out there! – I was interviewed last week by the Wall Street Journal. Why, you (might) ask, does this not warrant its own post? Well, that would be because none of my (20 minutes of) actual words made it into the article. But our holiday card made it into the slide show. So my mom gets to brag at holiday parties. And, I admit, it was super fun to get an e-mail asking for an interview. With the Wall Street Journal. Because that was so fun, I can let go of the fact that the few words I uttered that made it into the photo caption were kind of out of context. – Are you into the Elf on a Shelf thing? Or do you think it’s creepy? If you think it’s creepy, you might enjoy this. If you love it and don’t think it’s creepy and would like to avoid seeing it as creepy… don’t click the link. – Out of 112 Spoonflower I Spy Swap 2 fabrics, 102 are in my hands and I’ve been in touch with the owners of the remaining 10 and they’re all working things out to get them to me. Not sure whether the packages will make it out before Christmas. I’ll do what I can on this end. But maybe it’s better, in the end, for the packages to wait until the holiday rush has passed. I’d cry if any of them didn’t make it back home. It’s been a whole lot of work. Oy. Elf on the Shelf is rather creepy. But mostly I feel like — do my kids need more excitement about what they’re going to get from Santa? I get why others find it fun, but it’s not for me. Thank you again for all your work on the I Spy swap!! That is a really incredible idea!! Thanks for sharing! What a FANTASTIC idea! 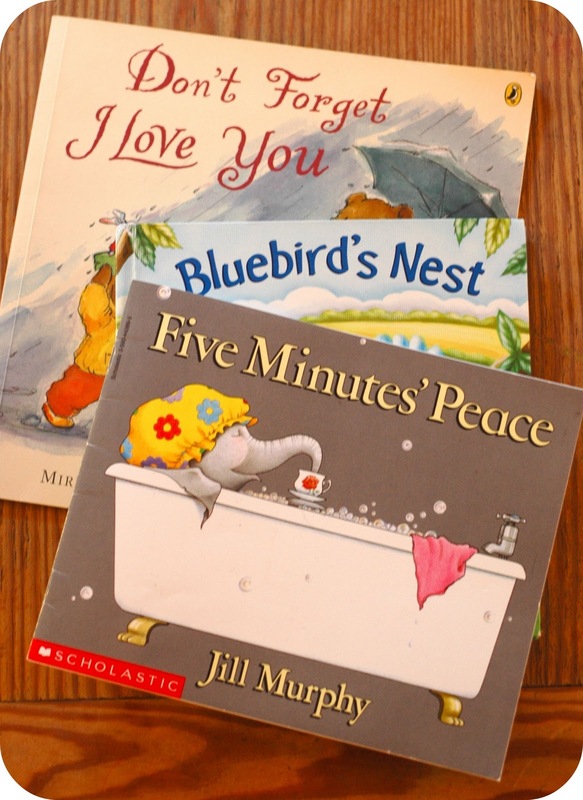 I have family scattered all over…and the idea of having audio books for some of the kids’ favorites read by their aunts, cousins, grandparents, etc. just makes my heart smile. What a great idea! Love your humor. Happy birthday A! Oh wow, what an absolutely fab idea! I’d have loved that gift when I was a kid. As for the fabrics, after Christmas is fine, less chance of it getting held up in a present jam! what a great idea! my mom did this into the tape recorder for my sister and I before our little brother was born. she did it when she was already reading out loud to us during the day or at bedtime. when we were older my mom and dad would do chapter books (taking turns on chapters) for us to listen to on trips. what was great were the little interruptions and little voices asking questions every so often and my mom’s own version of the reminder to turn a pages – a little click of her own! elf on the shelf? HAH! those were great! Thanks so much for sharing this! I’ve planned to do some audio books, but never would have come up with this way of doing it (didn’t know such a thing existed!). I will definitely try it. Oh my goodness! Such a fantastic idea with the audiobooks!!! I can’t wait to do it for my son! I love reading your blog, and I LOVE this idea such an easy idea that keeps loved ones close by! What a good idea! Love it. How fun your card got in the WSJ! My friend was the photographer for another that made it in, so I’ve been looking through that slide show before. Small world! I love this idea! I was thinking about somehow recording “Where’s Waldo.” My kids love it, but they need someone to sit down with them to read off the things to find. Holy cow, you’re brilliant! Brilliant, I say! This is going on the list for SURE and I am sooooo very excited to set it all up. My brain is whirling with books I want to do. It’s going to be very hard to decide. Thank you!!! This is such a great idea. 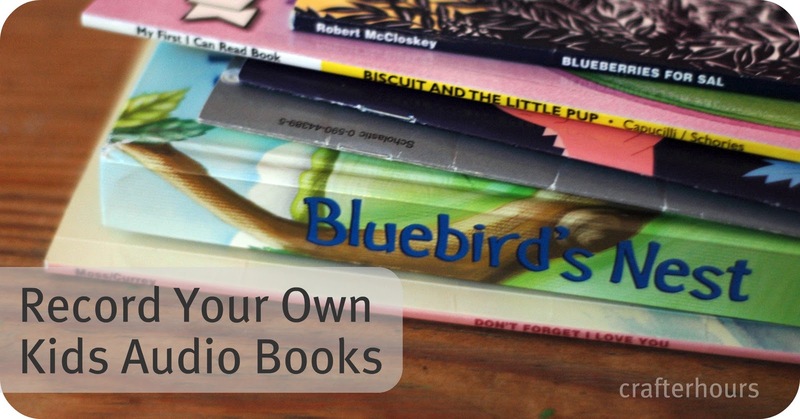 My son loves audio books on long car rides but we’ve been having trouble finding books that are suitable for him. My mom has a whole pile of them and would love to read to him. I wonder if my work conference system can do this? Great Post..Many new ideas are Shared in books .It will Help a lot..Thanks for sharing the nice Post..Keep sharing.. I completely agree with you. I really like this article. It contains a lot of useful information.I can set up my new idea from this post. It gives in depth information. Thanks for this valuable information for all.And of course nice review about the Veterans fight and their present prospect. Thank you!! What a wonderful idea. I was searching for a way to record books for my son and found this post. I love it! Thank you, thank you! !